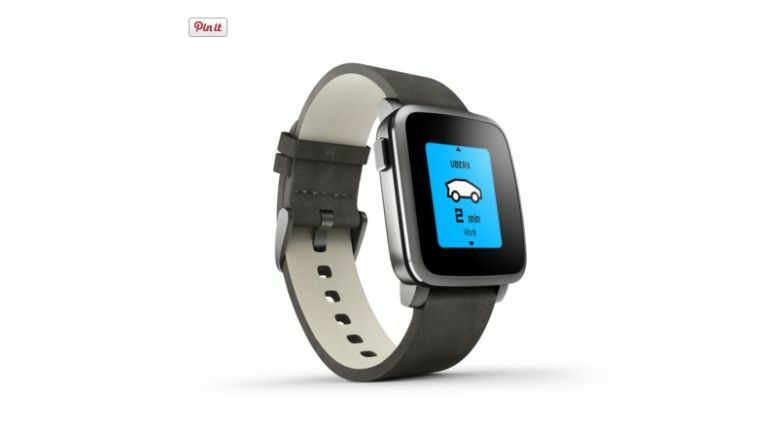 Do you fancy the Pebble Time Steel? The classy Pebble Time Steel smartwatch can now be pre-ordered for £249.99, so if you're keen on getting the stylish alternative to the Apple Watch or Android Wear wearable that works with both iPhone or Google's handsets, now's the time to crack open your wallet. The Pebble Time Steel is the feature-packed high-end version of the already pretty lovely Pebble Time and boasts a gorgeous stainless steel body, along with a colour e-paper display that keeps the smartwatch going for up to 10 days on a single charge. It comes in a variety of colour options and for your £249.99 you also get a 22mm genuine Italian leather band and a magnetic USB charging cable. For £289.98 you can get the Pebble Time Steel in the premium looking gunmetal black, silver or gold colours, which come with matching stainless steel watchbands. That's quite a bit of cash to part with, considering some of the Android offerings are hovering around the £200 mark now, and arguably have a better selection of apps too. It is a touch cheaper than the Apple Watch though, so if you're struggling to come to terms with Cupertino's pricing the Pebble may offer some light relief. If you're keen to slap this smartwatch on your wrist head over to the Pebble online store to order yours today – but bear in mind that there's a bit of a wait, as the wearable will ship in 6 to 8 weeks, so you may want to hold on to your current watch/phone/sun dial for now if you still want to know what the time is.